The 85 meter long, 1753 ton fishing boat 501 Oryong sank in the Bering Sea off the Chukotka Peninsula, Russia. The 501 Oryong had departed from Busan with 62 persons on board in July to fish in the Bering Sea. On December 1, the vessel was fishing pollock in stormy seas with waves reaching 5 to 6 meters in sub zero temperatures. As the crew pulled in nets, the 501 Oryong was struck by a large wave. The surge of water flooded the fishing boat’s storage areas causing the vessel to list. The master of the 501 Oryong sent out a distress call and ordered the crew to abandon ship. Five nearby fishing vessels responded to the scene. The trawler Carolina rescued five crew while the Zaliv Zabiyaka pulled another two men from the water. Another person was recovered, but later died from hypothermia. Reports state the remaining crew remains missing. 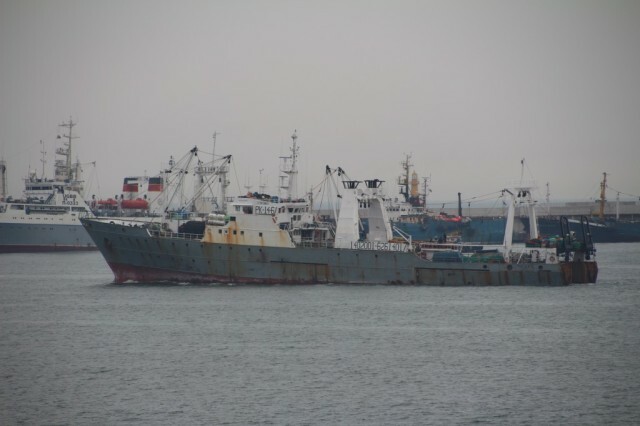 The 501 Oryong was last reported at 62 17.05N 177 47.26E, but the vessel was stated to sink in Anadyr Bay. One of the survivors was reported to be a Russian inspector. 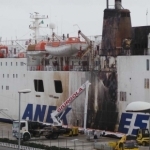 On November 29, the 139 meter long ro-ro passenger ferry Ierapetra L caught fire off Brindisi, Italy. 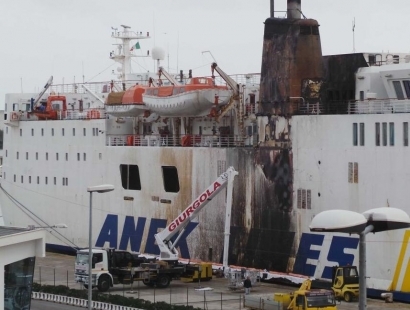 The ferry had just departed from Brindisi bound for Bari with 23 crew on board when a fire broke out in the vessel’s engine room. The crew attempted to douse the blaze, but were unable to control it. 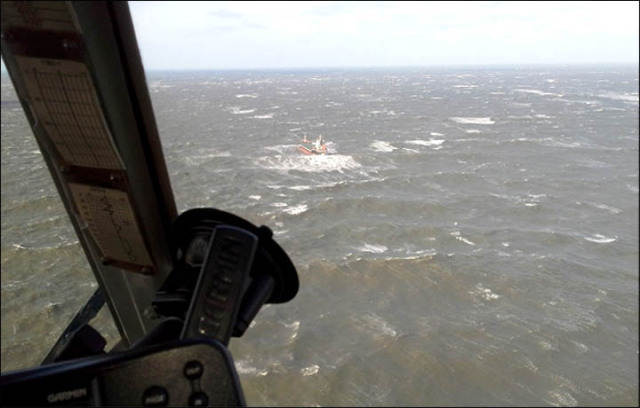 The crew requested assistance with nearby vessels responding. 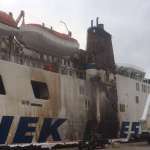 With assistance, the fire was finally extinguished by the on board fire supression system. The Ierapetra L turned back to port escorted by three patrol boats. No reports of injuries. 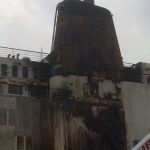 The ferry sustained significant damage to the engine room and had visible signs of heat damage to the hull.